The mysterious man motioned Walter into a small room. "Here", he said, "is where we test how smart our applicants are." Walter died inside. He had been told that the applications were tough - after all, being part of first contact with another species was important, and Earth only wanted the best of the best to represent them - but this interview was brutal. "Do you see this screen? ", the man said. He gestured to the far part of the room. Walter looked up, and saw what appeared to be a green screen with eleven white arrows on it. "Yes..." Walter replied. "Okay", said the man, "this is how this is going to work." He produced a stylus from his lower pocket. "You can use this stylus to draw an arrow on the screen - here's an example." The man drew a twelfth arrow on the screen, in a seemingly random spot. He then walked over and handed the stylus to Walter. "What do I have to do? ", Walter asked, getting increasingly nervous. "It's easy", said the man, "All I want you to do, is to draw a thirteenth arrow, to finish this." Walter immediately wanted to ask a thousand questions. What was this about? How can you 'finish' a bunch of arrows? What is 'this'? The man, however, had already left the room. Walter stared at the screen in front of him. Where should he put the thirteenth arrow? 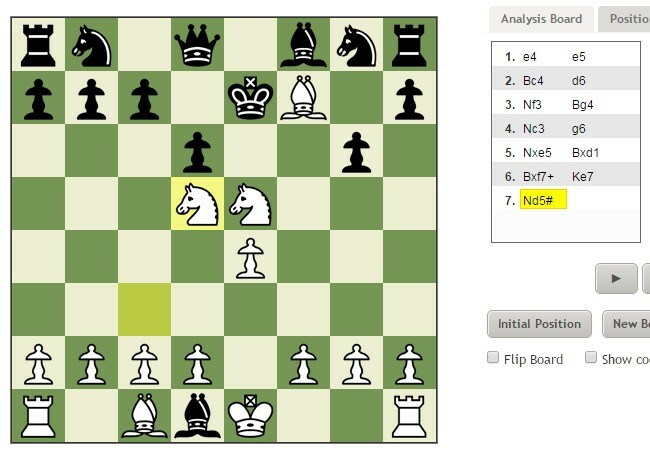 Nd5 checkmate, in others words draw an arrow starting from arrow 7 and extend in the same direction. 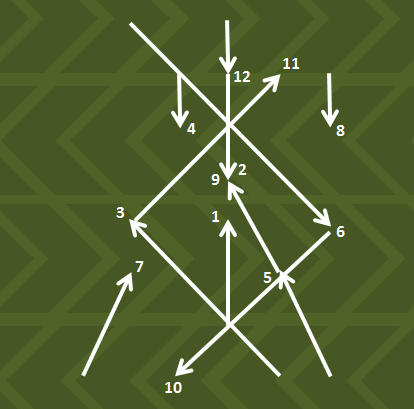 The arrows represent chess moves. Not the answer you're looking for? Browse other questions tagged visual .